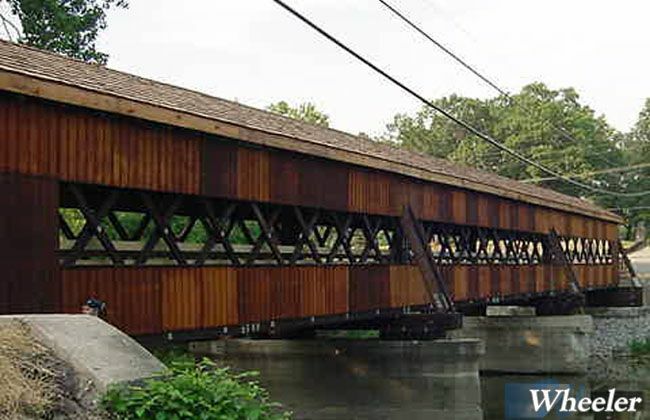 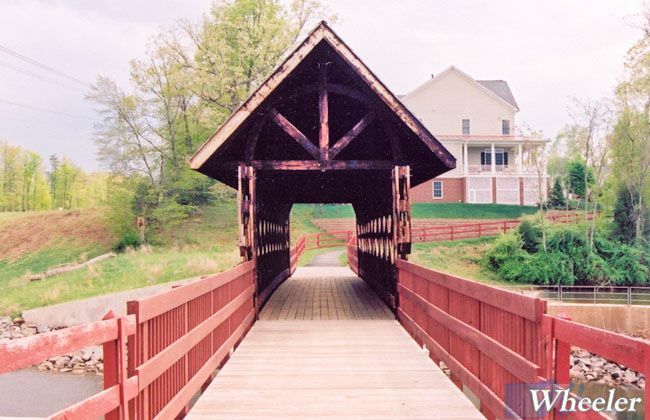 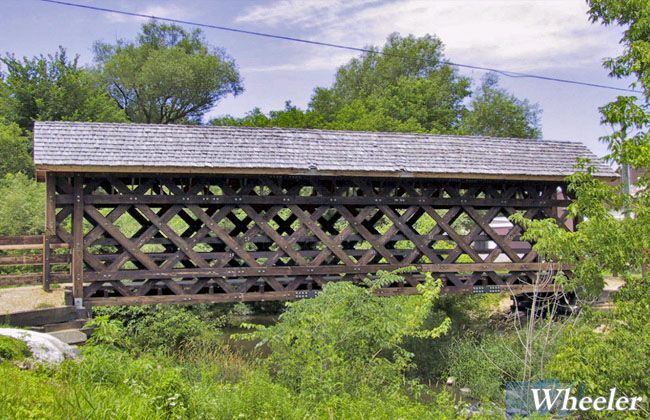 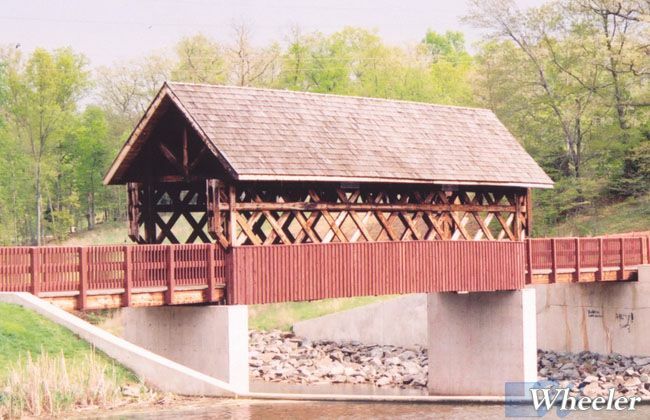 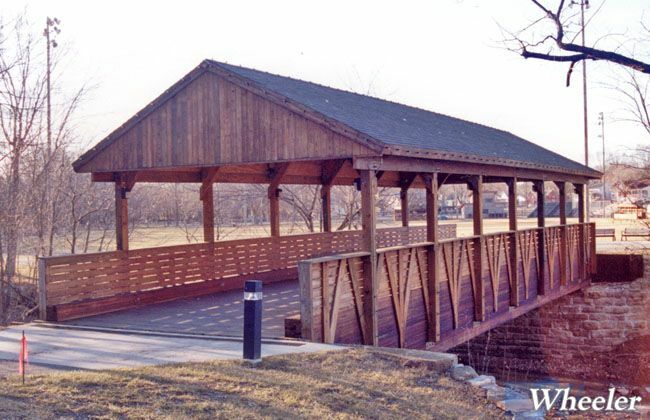 Made from treated timber or steel, Wheeler has many styles of Covered Recreation Bridges. 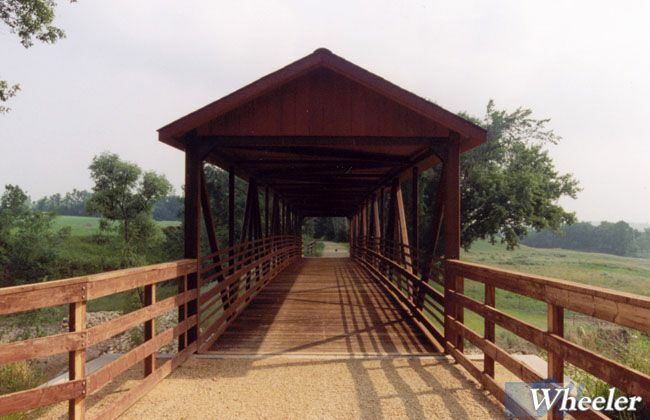 Custom designs are always available. 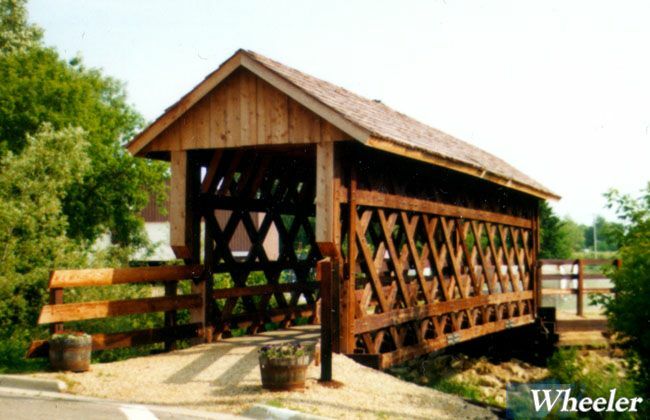 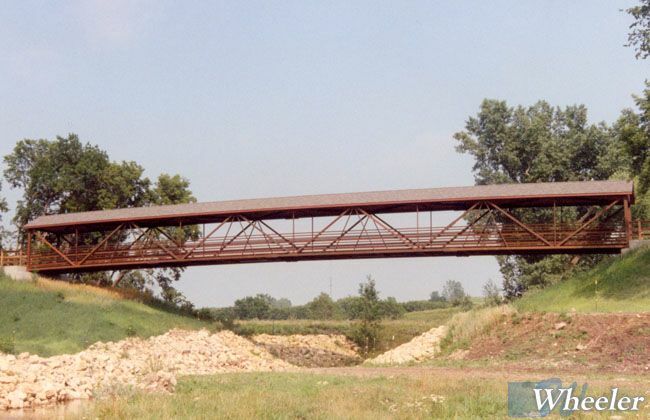 Typical recreation bridges are eight to twelve feet wide. 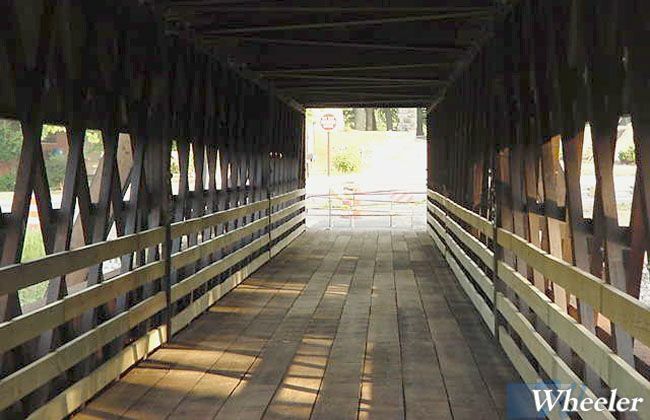 This is compatible with covered bridges that should appear long and slender. 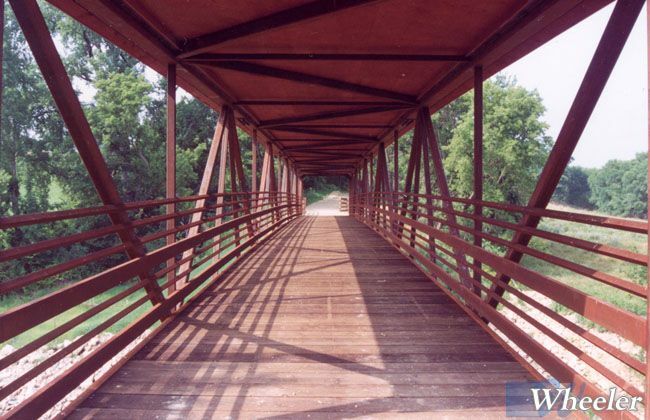 Many trails are in remote areas where the bridge can double as shelter in poor weather conditions. 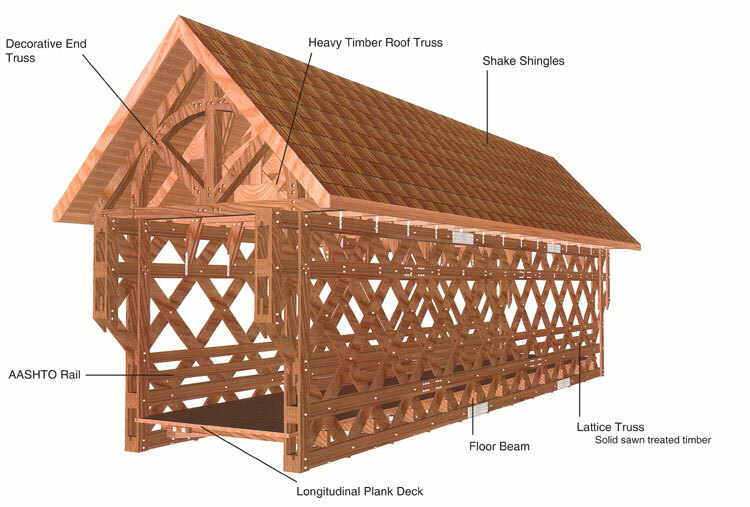 The traditional timber lattice truss, with its complex structure, is a popular project centerpiece. 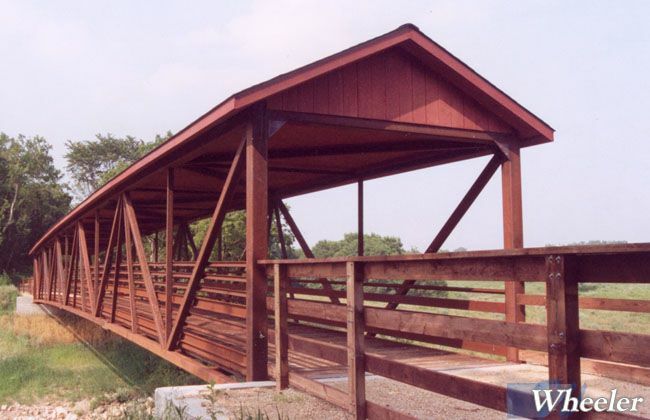 Steel truss designs with overhead bracing are the perfect platform for a roof. 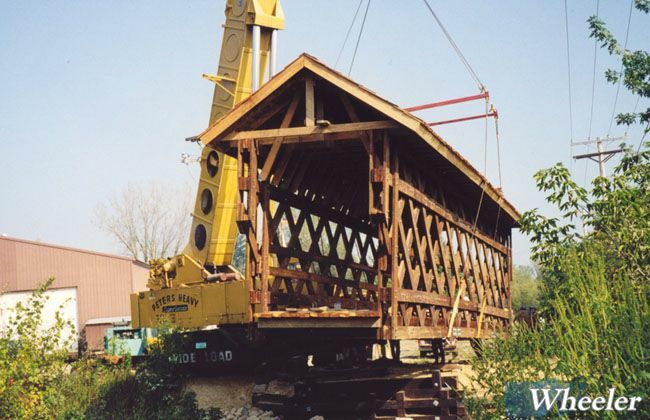 Most styles are delivered as components or completely shop fabricated.